This gem is a life saver and a sanity saver. With it’s trademarked Intelliflex bristles this brush glides through knots and tangles with ease, no matter your hair type- fine or thick, curly or straight. 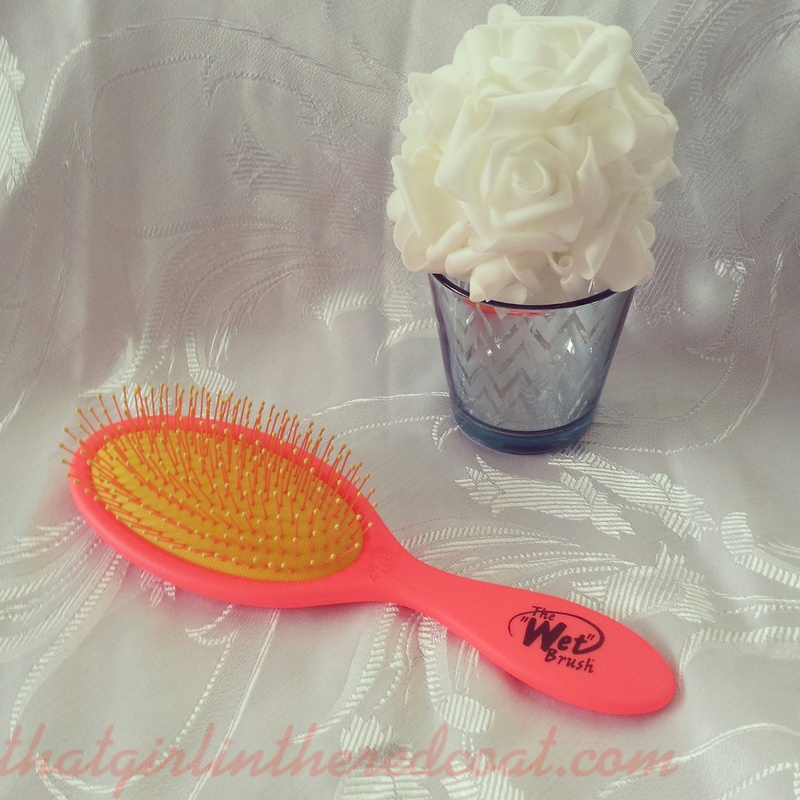 The WET Brush can be use on wet hair or dry hair. There is no pulling or tugging on the hair or scalp. I own one. My daughter owns one. My girlfriend’s own one. Their daughters own one. Some of the gents in my life own one as well – it’s a gem to use on beards. Every woman that has bought one from me at the shop has come back to purchase one for her sister, her bff, her neighbor, you name it. My first experience with this brush was over 2 years ago, when all my reps. (10 of them) were talking about this new brush and only one of them, Sylvie Balan from KAO – a FAB! rep. if I do say so myself offered me a brush to try out in our Salon. After using it on our first client, we were sold. It used to take our stylists 30 – 40 minutes to comb out this client’s hair. With the WET Brush – 5 minutes. Mondays are tough enough, why not start it off with a little less pain and frustration. Save your mascara from watering eyes due to a nasty tangle, silence the screams and end the morning and evening tears of your children when they see you approaching them with brush in hand, do yourself a huge favor and get yourself a WET Brush. Plain and simple.